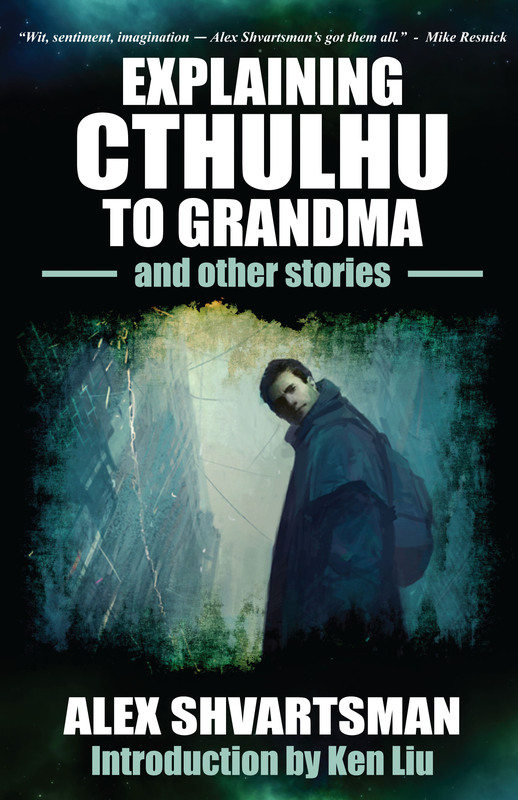 I recently had a chat with author Alex Shvartsman, whose book, Explaining Cthulhu to Grandma and Other Stories, just came out. Alex is a prolific short story writer, who is also the editor of the Unidentified Funny Objects annual anthology series of humorous SF/F. He knows a thing or two about games, as well. Me: This is a collection of short stories. Is there any theme or similarity between them? Alex: My body of work isn’t yet at the point where I can produce a themed collection. Instead, I included what I consider to be my best tales. The title story of the collection won an award and also came in second in the 2013 IGMS Reader Poll. A number of others made Tangent Online Recommended Reading Lists, or were reprinted, translated, and podcasted in various venues. So I’m going for overall quality rather than a singular theme, other than the fact that all the stories are science fiction or fantasy. Alex: I’m proud to be known for writing humorous SF/F, because it’s such a difficult thing to pull off. However, not all stories in this collection are humorous. Some are rather dark (though I wouldn’t describe any as outright horror.) Overall, I try to write fun, plot-driven stories rather than character studies or works that are overly literary. Although I’m certainly not implying a parallel in quality, I strive to write the sort of fiction produced by Mike Resnick, Bob Silverberg, Jim Butcher or Simon R. Green. Me: Would you want to live in the world of any of your stories (or definitely not want to)? Which one and why? Alex: Oh, what a fun question! I think I’d enjoy living in the world of Conrad Brent. There are two stories about him in the book, and they take place in our regular world, in the borough of Brooklyn where I live, except magic and supernatural creatures are real, but only one in every 30,000 people can perceive them. There are wizards, and druids, and an enormous troll living under the Verrazano Bridge. Me: Hmm… I don’t know about that troll. How do you think reading this collection will make people feel? Any ideas it might make readers consider? Alex: If I do my job right, the reader will experience a rollercoaster ride. There is a mix of humor, adventure, darkness and introspection, and I hope that every reader can find a few favorites. Overall, I’m an optimist and I think my idea stories (especially flash pieces like “Notes on the Game in Progress, Played Almost to a Draw”) really show that. One of my own favorites is the story that concludes the collection: “Fate and Other Variables”. It’s about a hacker and a kabbalist teaming up to break into the Book of Fate and change their futures, and in addition to being a fun story has all sorts of intellectually stimulating ideas about free will. Me: Finally, should we give this book to our grandmas? If your grandma is anything like the one in the title story, she’d secretly enjoy the book! (Though she would never admit it, or let it show. She’s a tough old thing.) I strongly urge each of you to buy a copy and read it, that way you’ll be able to form your own opinions as to what the grandmas might think!